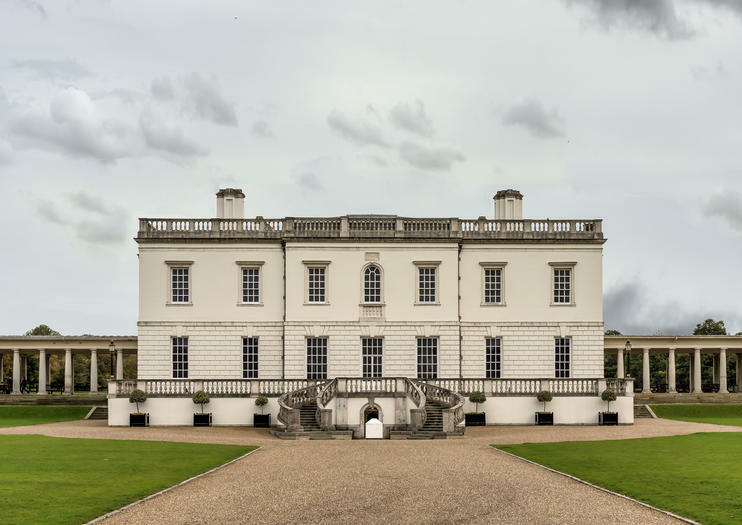 Part of the Maritime Greenwich UNESCO World Heritage Site, the Queen’s House is widely regarded as an architectural marvel. Commissioned by Queen Anne of Denmark in 1616, it was designed by architect Inigo Jones and was the first classical building in Britain. Today, the palace houses a gallery of artistic masterpieces. According to legend, the Queen’s House was given to Queen Anne of Denmark by her husband, James I, as an apology for swearing in her presence. Though the house was completed in 1638, years after her death, it was later used by other members of the royal family. Located adjacent to Greenwich’s other highlights, including the Old Royal Naval College and the Royal Observatory, the Queen’s House underwent an extensive renovation in 2015–16. Today, it is renowned as a Grade I–listed landmark, an extraordinary architectural highlight, and as a home for many works by Old Masters. The Queen’s House can be seen during various Greenwich itineraries and can even be viewed from the water during Thames river cruises. The Queen’s House is free for all to visit. The palace is outfitted with an elevator, wheelchair-accessible restrooms, and other features that make it accessible to those with limited mobility. Wheelchairs can be rented, and guide dogs are permitted on-site. Highlights of its art collection include the famed Armada Portrait of Elizabeth I and paintings by artists ranging from Canaletto and Hogarth to Kehinde Wiley. There are numerous ways to access the Queen’s House. Take the DLR to Cutty Sark station, take mainline trains to Greenwich rail station, or take various boat services to Greenwich pier. It is also served by bus lines 129, 177, 180, 188, and 286 and can be reached by car or by bike. The Queen’s House is open 10am–5pm daily, except December 24–26. The landmark also hosts thrice-daily paid tours, which can be booked in advance, as well as talks, musical performances, and other events. One of the most prized features at the Queen’s House is the Tulip Staircase, which was the first self-supporting spiral staircase built in the UK. The grand Great Hall, famously a perfect cube in shape, was recently renovated by Turner Prize–winning artist Richard Wright, who added gold embellishments to its walls and ceiling panels.